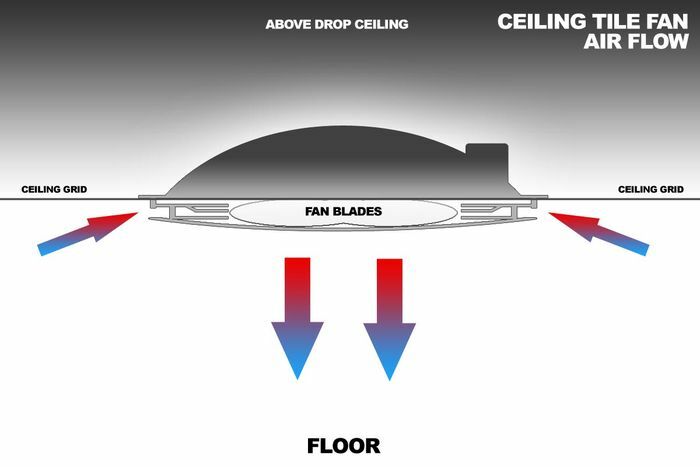 Fan coverage is approximately a 6 foot radius on medium speed. For best coverage place fans 8 feet apart. 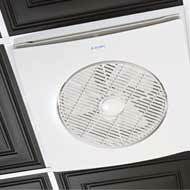 This innovative Tile Fan is specifically designed for your suspended ceiling, and is a perfect alternative to conventional ceiling fans when head room is important. 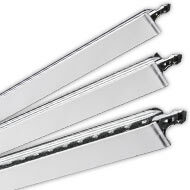 We recommend to install in 8' - 10' ceilings for maximum air circulation. 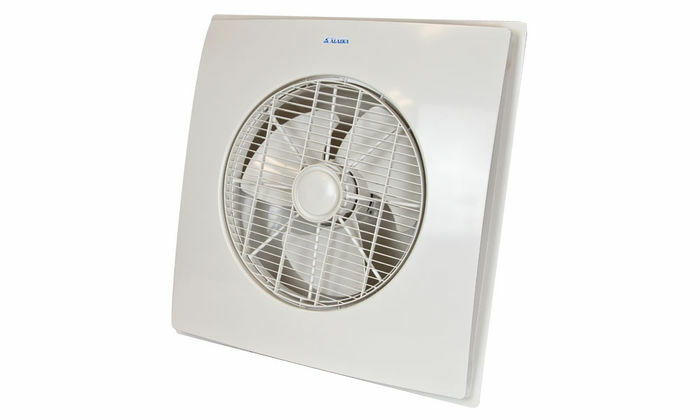 From small rooms to basements, to office centers, this Tile Fan can be quickly installed and has a circulating vent to discharge air evenly throughout the room. Simply remove an existing ceiling tile and replace with this fan unit. 120v household current electrical hook up with tie in to wall mounted controller. Electrical experience is recommended. 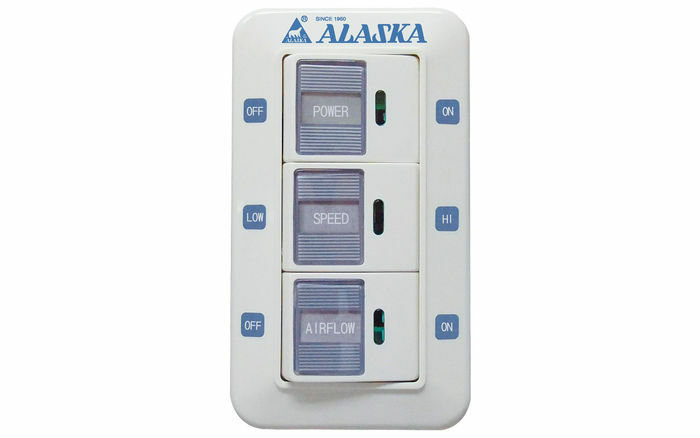 Ceiling Tile Fan Unit comes complete with a 2-speed wall mount switch that can control up to 20 slave units. This ceiling fan is easy to install, quiet, highly effective, and perfect for areas in which a traditional ceiling fan just won’t work. 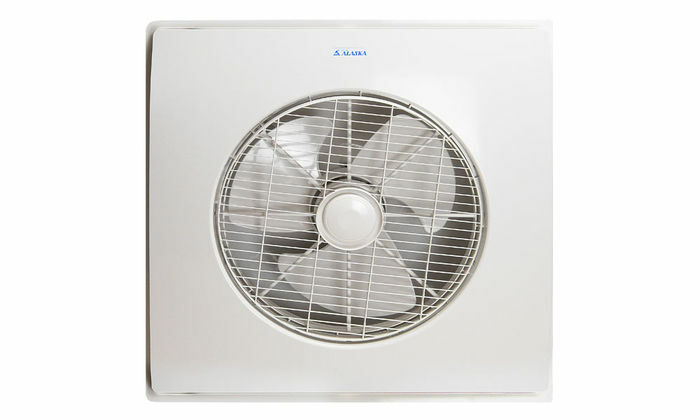 Equipped with a wireless controller for convenience, and designed for use in standard drop grid systems, this fan will help keep the cool air flowing without raising noise levels. The rotating fan grill helps to distribute the air in all directions, and you can turn this feature off, if you want. You will need 8 to 10 inches of space above the fan to install it. If you have a 2x4 layout, you will need to purchase a grid divider and cut a tile in half to fill the existing space. These are very quiet and really move the air. Our electrician was impressed with the compact size and efficient operation. I really love these fans! We have installed these in conference rooms in the back-of-house areas in a major department store chain. The store management are very pleased with these fans. They are quiet and effective. They are relatively easy to install, and are well worth the money spent.